Web Directions Unplugged 2011, Seattle, May 13th 11:30am. Most user experience research takes place sitting behind a computer. And yet these days, most networked experiences are happening on mobile devices. Some common user experience research methods work well in a mobile environment — others don’t. In this talk, Juliette Melton will guide you through how to use some great existing research methods in a mobile context, how to incorporate some new (and fun!) methods into your arsenal, and propose next generation tools and services to make mobile user experience research even better. 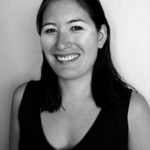 Juliette has ten years of experience building, managing, and researching digital environments and is a human factors researcher based at IDEO in San Francisco. She’s deeply interested in the intersections between digital culture, learning, and communication. Her work has spanned a broad range of industries including social media, casual gaming, education administration, electronic publishing, corporate banking, computer hardware, and public health. Community education — through workshops, lectures, and writing — is an important part of her work. Remote user experience methods, agile project management, and research program planning are frequent topics. Juliette holds an MEd from the Technology, Innovation, and Education program at the Harvard Graduate School of Education where she focused on developing models for innovative networked learning applications. She also has a BA in Comparative Literature from Haverford College.